I’ve been a voracious “horse learner” my whole life. I remember attending lectures and conferences with my Grandad or my mom as early as I remember anything. Clinics, expos, anything horse related, we were there, learning where ever the opportunity presented. 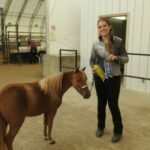 After I grew up, that didn’t change, and to this day I attend as many clinics and conferences as I can, as well as adding to my horse library and researching online on a regular basis. It’s a great policy to learn from everyone you can, but you do have to use your critical thinking, not take everything you’re taught as gospel. 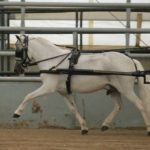 I don’t mean that someone is necessarily going to intentionally teach you something wrong, just that what is right for them, might not be right for you or your horse. I’ve come across a few “red flags” that let me know this instructor isn’t going to be for me – which still doesn’t mean I can’t get something useful from them, just reminds me to take what they say with a healthy grain of salt. 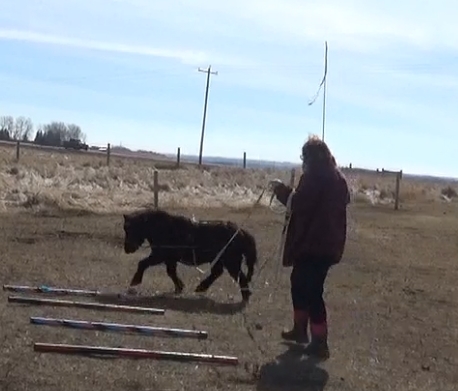 If an instructor or clinician talks about being dominant to a horse, or explains a horse’s behaviour by labeling them as dominant, it’s a sure sign that they’re not my kind of horse person. I don’t want to dominate my horse, I want them to be a partner, with a voice and a say in how we move forward. Any time I hear this, or, heaven forbid, the ubiquitous, “Show him who’s boss.” I know it’s not for me. Touting the use of “tools” like draw reins, or saying you need to buy their training stick/long lines/halter that’s actually a nerve line/insert gimmick here. No thanks. Anything that’s going to create an artificial frame or movement, or give me control through pain, is not a shortcut I want to take. 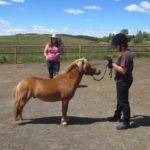 Horses don’t follow rules, and every horse is an individual – you’ll notice, in my Groundwork Masterclass, the first thing you do is try and figure out your horse’s personality type, to help you see how to approach teaching them. Any trainer who sells a system that is supposed to work on every horse is a huge red flag to me. Some poor horses are going to be in for a very unpleasant situation, as their little square peg self is forced into the same round hole. While respect doesn’t sound like a bad thing, in my experience it usually means the same thing as “dominant” and is rarely used to discuss our respect for the horse. 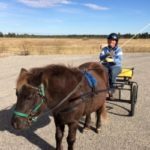 It’s always, “he needs to respect your space” or “your horse has to respect you” or “respect and fear are only spelled different” – which is all a slippery slope back to, “show him who’s boss.” Unless they’re talking about respecting our horse, and listening to what they tell us, I don’t want to hear about respect. If someone suggests a course of action to you, regarding training, or equipment, or feeding, or really any aspect of horsemanship, and can’t tell you WHY then that might be the biggest red flag of all. So often someone tells me it’s the right thing to do, because someone else told them to do it, but haven’t got any idea of WHY they should be doing it. Or what if you ask why, and the answer includes one of the red flags above? Understand the why, and you’ll do right by your horse. Did I miss any? What makes you uncomfortable when you’re listening to a new instructor? What tells you that this approach isn’t going to be right for you? 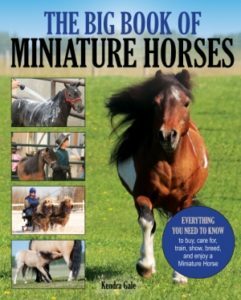 The Big Book of Miniature Horses is Available Now!